We want to say thank you to all the parents, who made it a point of duty to send the children to school every day. We achieved a 100% attendance recently, which is brilliant, and we look forward to more of such. This term in geography, we have been looking at 'Around the world in 50 days.' Children are looking at the continents and then zero in on Europe. Recently, we visited Watt Tyler and took part in an activity call 'orienting.' We used the compass to find places. These are some of the pictures. In ICT, we have looked at the unit 'We are Artist'. Children used the 2D shapes and ink scape to create tessellation. Our PE days are as follows: Monday and Wednesday. Please remind your child to bring the right kit for the outdoor PE. 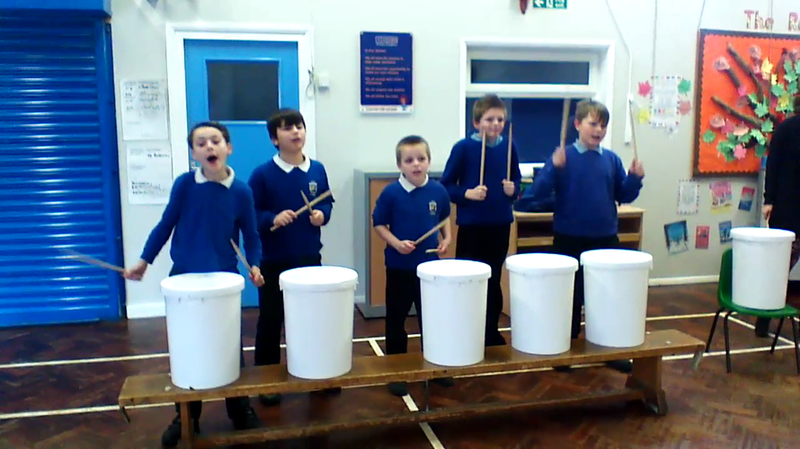 In music, children are having fun with bucket drumming.